Original Medicare is the Foundation of Your Coverage: In order to enroll in a Medicare Supplement or Medicare Advantage Plan, you must have Part A and Part B of Original Medicare. The Best Time to Buy a Medicare Supplement Policy: The best time to buy is the six-month period that you’re new to Medicare Part B. Because, insurance companies are not allowed to use medical underwriting to decide: how much to charge you, or whether to accept your application. Medicare Supplement Plans Are All Created Equal: Medicare Supplement plans are federally regulated and identical for each insurance provider. For example, Plan F, with Company #1, will have the same exact benefits as Plan F, with Company #2. The only thing that will vary between carriers is the price you pay. Medicare Supplement Premiums: Rates for Medicare Supplement Plans are based on: age, gender, location, tobacco use, health status, and the plan type you select. It pays to shop around for your best rates! Rate Increase History… Check Before You Buy: Typically, rates for Medicare Supplement policies go up each year. However, some companies have historically higher rate increases than others. It’s important to research the companies you are interested in, and become knowledgeable about their rate increase history. Do You Work For Me or The Insurance Company? Most insurance agents represent one insurance company and they’ll only show you rates for the company they work for. An insurance broker represents the client, instead of the insurance company. 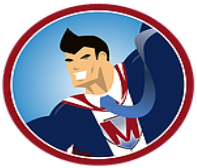 Insurance brokers, like Medicare Hero, are contracted with several different insurance companies, which allows them to help you compare rates from various companies. Open Enrollment: Medicare Open Enrollment happens every year from October 15 – December 7. This is the only time of year you can switch Medicare Advantage and Part D drug plans. It’s important to reevaluate your coverage each year to make sure you are still have the best plan at the best rate. Make Sure You Have Part D (Drug Coverage): You may have to pay a late enrollment penalty of 1% each month you didn’t have Part D Prescription Drug Coverage. This permanent penalty will be added to your premium if you take out prescription drug coverage. Many Medicare Advantage plans offer prescription coverage, which satisfies the coverage requirement. Networks are Important for Medicare Advantage: Each Medicare Advantage company has its own network of doctors and hospitals. Be sure to check your current doctors and hospitals are in-network for the plan you choose. Depending on your plan, you may also be required to get a referral before seeing a specialist. Underwriting for Medicare Advantage: Medicare Advantage plans require very little medical underwriting. Typically, End Stage Renal Disease is the only condition which will prohibit you from qualifying for a Medicare Advantage plan.